On September 23, 2011, Mahmoud Abbas, president of the Palestinian National Authority, submitted the necessary paperwork to the United Nations in an effort to seek international recognition for Palestine as the sovereign territory of the Palestinian People. This move was met with both applause and condemnation at home and abroad. Israeli President Benjamin Netanyahu called it “a foolish move,” stating that “peace cannot not be achieved through unilateral moves”; rather, that “peace can only be achieved through direct negotiations with Israel.” With UN member states lining up on either side of the aisle in support or against such an attempt by the PLO, the debate over Palestinian state sovereignty reemerged back into the international spotlight as a major piece of the effort toward Middle East peace. With this historic moment sparking debates across the globe as to the best way forward for Israel-Palestine, the obvious question that arises is what a final status will look like. In considering alternative futures, the debate can be thought of as coming down to one of two main options: a one-state solution, or a two-state solution. 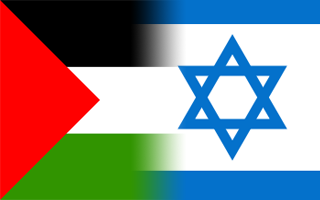 And while it is no secret that much of the world is strongly in favor of a two-state solution, it is certainly still worth exploring all ways forward, and arguments for and against each solution. As such, I will discuss three different articles on the road to final-status, examining not only the given arguments for their recommended end-state, but also how they recommend achieving their goals. ...continue reading "One State, Two State, Red State, Blue State – A Journal Review of Potential Pathways to Peace in Israel-Palestine"
In one case, a man’s house is being entirely encircled by it. When it is done, his family will be given a key so that they can enter and exit their property through a gate cutting them off from land they have lived on for years. A guard tower will sit just a few meters from their home. The owner has a wife and two kids, and the kids are not allowed outside to play because of the construction, which is scheduled to be completed by mid-September. In another instance, the house is locked between it and a settlement. One of the owner’s children has scars on his right eye from being hit by rocks thrown by the new neighbors because of his refusal to leave his land. Court battles with the government finally allowed the owner of the house, who had lived on the land for 35+ years, to come and go through a gate he has control over, as opposed to having access to his home controlled by the military. If you visit him, he will be interrogated by the military shortly after you leave. 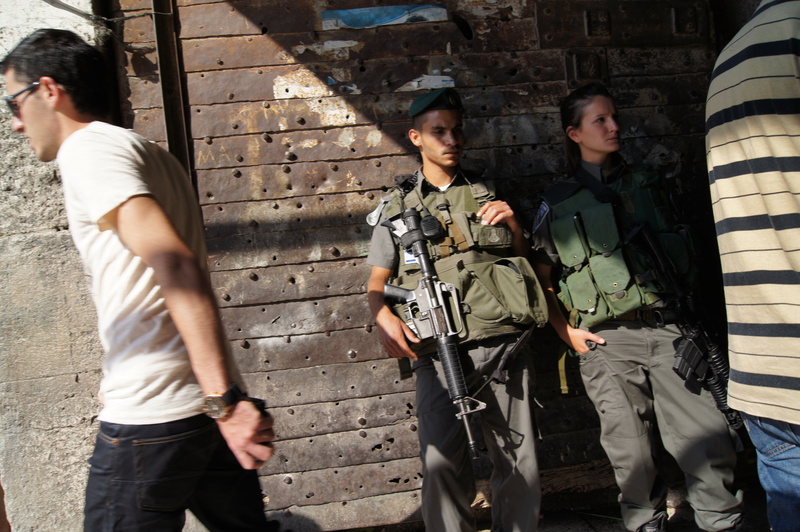 In other cases, entire communities are encircled by it, and the gate for entry and exit is controlled by the military. It cuts them off from their neighboring communities, effectively killing their economy and creating outrage among the residents. When it is done, it will be approximately 760 kilometers long. 90% of it is a fence topped with barbed wire, and 10% of it is a 8 meter tall concrete structure. 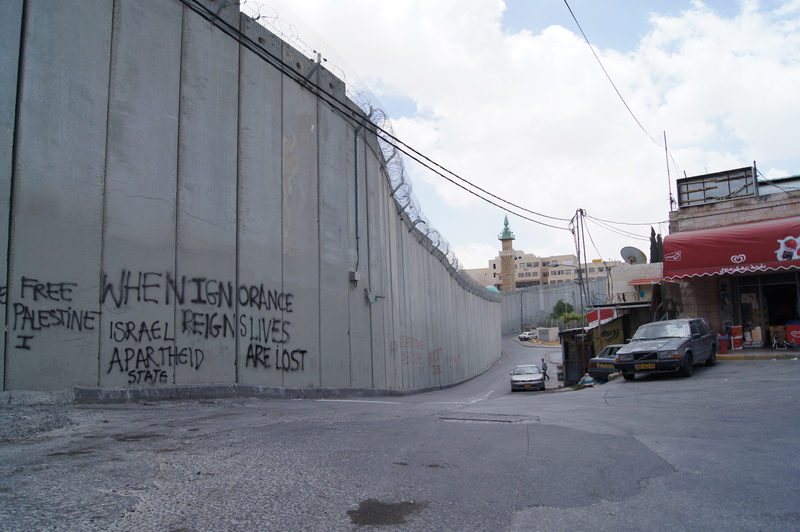 “It” is a separation barrier dividing the State of Israel from the West Bank. 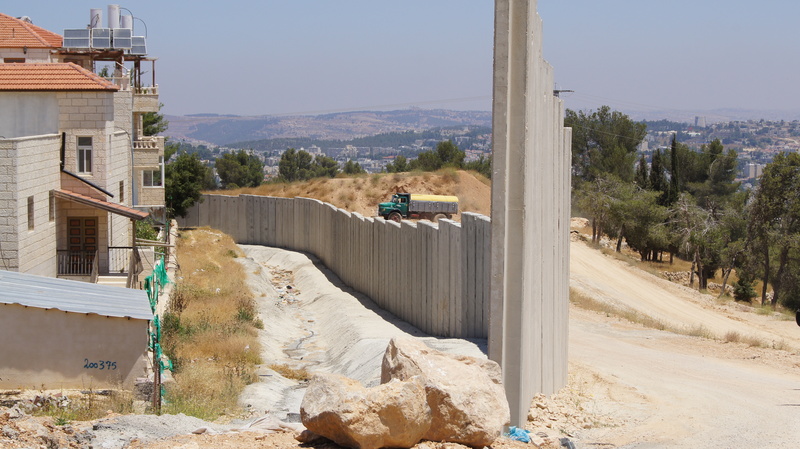 ...continue reading "The Wall – Separation Barrier 101"
For me, and probably many of us, the 4th of July means fireworks, barbecues, cold beer, and good times with friends. It is a day when the Washington, DC metro is flooded with people from around the country as they try to make their way to the national mall to watch fireworks rain trails of sparkling light down on the Washington Monument, smoke billowing across the ellipse, while bands play nationalistic songs of our past that symbolize the US gaining its independence from Britain. As a kid, I remember the journey down to the mall quite well, watching the events from the top of my parent’s office buildings in Rosslyn, and playing with sparklers in front of my house in Mt. Pleasant, Washington, DC. Cities and towns across America hold these celebrations every year. For some, it truly is a day of celebration for our independence. For others, it’s probably just a good excuse to drink beer and eat watermelon. This year was my first spent outside of the country on the 4th of July. Yet despite being far from home, this year proved to be the single most meaningful Independence Day of my life, as I spent the day in a refugee camp in Bethlehem with some of the most incredible young guys I have ever met – the artists from the hip-hop group Palestine Street. Because the organization that I work with focuses on community based organizations, and hip-hop has quickly become the voice of the youth in the neighborhoods of Palestine, this was our first step at working toward such collaboration. ...continue reading "A 4th of July to Remember"
The male soldier’s glasses were so black that all I could see in them was the reflection of the scene behind me. Outlines of women’s heads covered in Hijabs lined the rows leading toward the back of the bus. Upwards of seven to ten children were fidgeting in their seats. Some were accompanied by their mothers, others not, as they made their way to school. A female soldier walked up and down the aisle, checking bags and asking for identification. The male soldier stood at the front of the bus in silence - his hardened 23-year-old face showing no expression as he clutched his automatic machine gun. The bus driver, who I had been talking to only moments prior, waited patiently to proceed through the checkpoint we were stopped at. My coworker and I had gotten onto the wrong bus, and found ourselves heading deeper into the Shuffat refugee camp. We were on our way to a meeting that was being held only a couple of miles to our west. After realizing that we had gotten onto the wrong bus, the Palestinian driver quickly made arrangements for us to make it to our destination on another bus traveling on its way o ut of the camp. And as I sat in the small seat, trying to figure out whether I was awake or still asleep from the night before, the women and children sitting in the rows next to me waited patiently. For them, this was just daily life. ...continue reading "The Human Experience"
Three days have felt like three weeks. Every step that I have taken in the past 72 hours has been a learning experience that no amount of time in a classroom could ever teach me. And before I continue, I feel the need to express that even in writing about what I have seen, I realize that I will make errors in terms of cultural sensitivity. Everything about being here and talking about what is happening in Jerusalem is complex. I have learned that everything that I thought I knew about the region was an overly simplified version of reality. In the days and months to come, I hope to gain a better understanding of what is truly happening in this beautiful land. However, I will do my best to begin sharing a little bit about what I have seen, in hopes of opening a window to an absolutely amazing country. Even the trip to get here was an adventure. 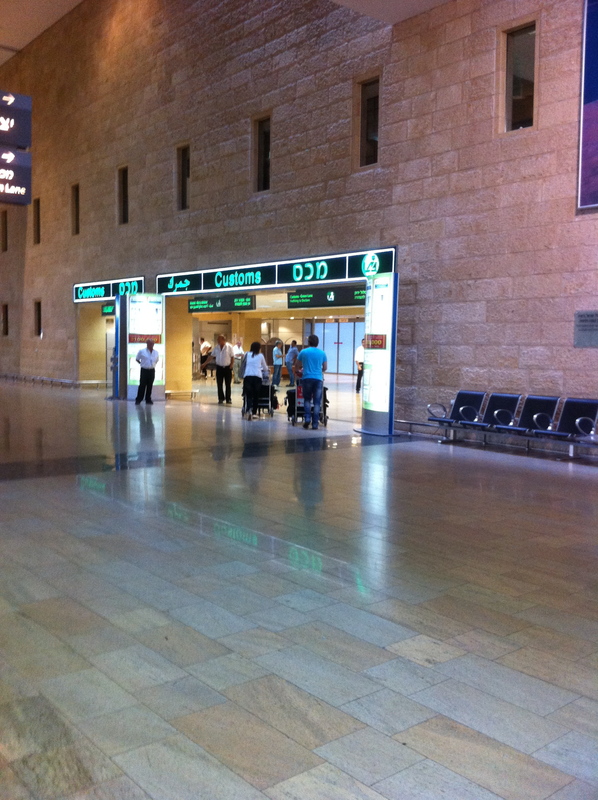 I arrived at Ben Gurion Airport in Israel on Saturday morning after about 15 hours of travel. Every step of the way there, from the airport in Newark, NJ, to finally boarding a Sherut (Shuttle) in Israel was a window into what was yet to come. The first thing that struck me was the security at the airport - and I don’t mean the airport in Israel. As I walked up to gate 138C at the airport in Newark, NJ, I had to pass through an additional security gate than passengers traveling to other cities. They had us sectioned off from the rest of the airport before boarding for security reasons, and I could feel the emotions of the people around me. There was a mixture of elation and nervousness in the air. As the flight attendants began calling for people to board, the crowd gathered around the on-ramp in anticipation like I’d never seen before. Airport security even had to yell at people to back up so that others could make their way onto the plane. The ensuing flight wasn’t as eventful as it was long. However, the welcoming committee greeting us upon arrival was yet another experience. After landing, I found myself stopped and questioned at three different points at the airport. Being that my passport was brand new and thus lacking stamps from any other countries, and that I also made the mistake of telling airport security that I was heading to a relatively controversial neighborhood in East Jerusalem, I was an immediate target for further questioning. They wanted to know everything from where I was staying, to what I was doing in the region, to what my grandfather and great grandfather’s names were and what my nationality was. Fortunately, I made it through without any major difficulties. That experience was indicative of what was yet to come. After about an hour drive in a shuttle to Jerusalem, I made my way to my friend Elaine’s house in Shuffat - who is the field coordinator of our research project. This may have been the softest landing in a new country that I could have ever asked for, and I am eternally grateful for it. I was met there by Elaine and her roommate Brian, two close friends of theirs, and a fantastic brunch. Their apartment overlooks the neighborhood of Shuffat, which is located just a bit north of the Old City. The rest of the day was kind of a blur, as I hadn’t slept in about 2 days at that point. We went out for drinks with some of the other members of the Grassroots Jerusalem team, and walked around the city for a while. Between the small shops, cobblestone walkways, parks, bustling night life, and vibrant culture, it quickly felt comfortable. Jet lag didn’t allow for much sleep that night, and the following day had us up and meeting with the team to begin learning about the work we would be engaging in this summer. 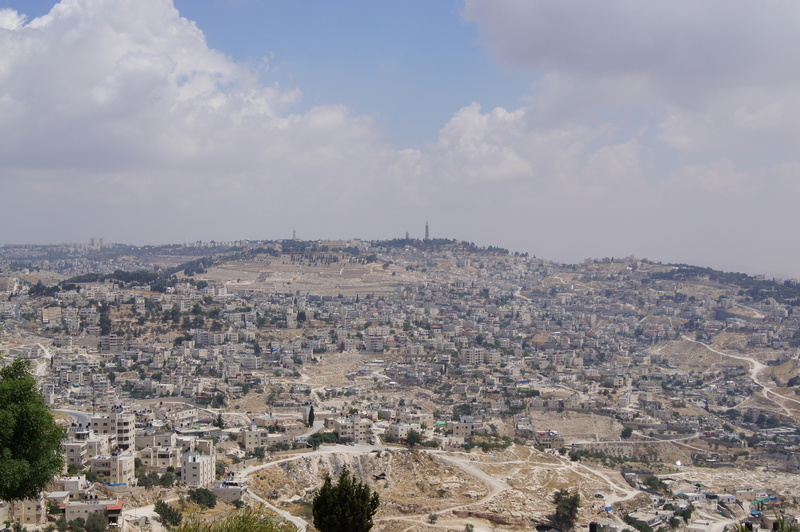 I will be spending most of my time here this summer in the Palestinian neighborhoods of East Jerusalem. And, while I will do my best to share what I am seeing and learning from my time here, there is no simple way to begin explaining the complexities surrounding this city. It is home to many walks of life. The area I have been staying in could be considered a ‘traditional’ society. Cultural norms and standards of behavior are different from what I have experienced, to say the least. This effects every step you take as an outsider, forces you to stop and think about what makes you who you are at your core, and why you grew up living with the values and normative behaviors that you did. In a way, it has made me question everything that I believed to be right and wrong. Where does the idea of “right” and “wrong” begin and end, and how does it intersect with cultural relativity and the idea that being different is just the way things are? I have yet to find an answer to this. I kind of doubt that I ever will... With that said, there are a few things that I have encountered here that have just been a bit overwhelming. I will undoubtedly spend a lot of time thinking about these issues throughout summer, and will do my best to share them with you in the coming weeks and months. At the end of my third day, I am just beginning to process everything that I have seen. I have uploaded some photos of a tour through East Jerusalem on my flickr page, including a number of photos of the wall dividing the East and the West. This is something that I will address in more depth once I’ve wrapped my mind around it a bit more. However, I also want to make sure that as I proceed with sharing some of these experiences, that I find balance in terms of how I’m characterizing this land. This is one of the most beautiful places that I’ve ever been to on earth, and is full of some of the most incredible human beings that I have ever met. The life, culture, food, sites, and historical relevance of Jerusalem and the surrounding areas is indescribably beautiful. It is also a heavy place that has seen difficult times. As an outsider, it is important respect both. I will do my best to do so in the months to come as I work here, and as I share some of these experiences. Thanks to the many friends who have sent me well wishes on my journey and short greetings from back home. Much love to you all. Note: Things That Make Noise is my new series for reviewing instruments. I will also have a series called Things That Record Noise where I review recording gear. Check back soon for a review of the new Apogee Duet 2. If you’ve ever tried to bring a guitar onto an airplane, then you’re well aware of the ensuing headache that comes with the whole process. The great debate is over whether to check the guitar in a flight case that you trust will survive the baggage handlers, or whether one should attempt to bring the guitar onto the airplane and stow it in the overhead compartment. The happy medium for me was always to gate check the guitar. In fact, I’ll likely do this many times again in the future. I’ve never really had any major complications with this process, and sometimes just need my G&L ASAT with me. It's just kind of a hassle though. When I realized how many flights I would be taking in the coming year, one of the first things that crossed my mind was this very issue. And, me being the guitar geek that I am, the conclusion that I quickly came to was that I needed (“needed”) to get a travel guitar. I suppose that an indestructible Tele or Strat in a gig bag would survive each trip. However, I don’t think I’ll be taking an amp on the plane with me. So that means traveling with an acoustic guitar. Was my main acoustic guitar going to survive multiple flights, even with a great flight case? Maybe. But would it be a pain to travel to multiple cities, often with stopovers in between, with a full sized guitar in a thick road case, a backpacking backpack, and an additional bag? Yes. It certainly would be. Okay, so travel guitar it is. Where to begin…. None of the travel guitars that I had tried in the past struck me as being particularly inspirational if you will. The Big Baby Taylors sound pretty terrific for the price, and the necks can unscrew. But that sounds like a recipe for warped necks and stripped screws over time. The smaller Baby Taylor sounds okay, but isn’t full sized. The Martin LXM series felt kinda cheap in my hands. The Breedlove felt pretty good, but again - not quite right. Unfortunately, this is the story for most travel acoustic guitars. They’re just too small! Short-scale necks don’t feel right, and small-bodied guitars don’t resonate. This quandary narrowed the field down to two guitars: The new Taylor GS Mini, and the Voyage Air guitar (the what?). After playing both, I ultimately decided on the latter of the two options. Click here for my full review. I think you guitar players will be impressed with this guitar find.